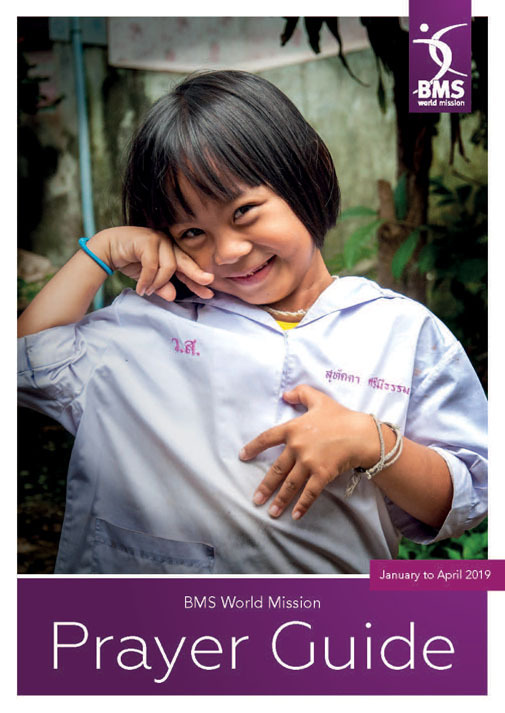 The BMS World Mission Prayer Guide is our essential prayer publication, ideal for both personal and corporate prayer. Over the year, you will pray for every country in which BMS has workers and partners. You will pray for our work in church, development, education, health, justice, leadership and relief ministries, for our workers serving on four continents, and for those we seek to serve – in some of the most marginalised, least evangelised and most fragile places in the world. Our new format Prayer Guide will have three issues in 2019, including longer prayer points, more background information, and more images from some of the 30 countries we work in. Download the current issue as a PDF below.